Continued from ‘Procedural generated mesh in Unity‘, I’ll here show how to enhance the procedural generated meshes with UV mapping. UV mapping refers to the way each 3D surface is mapped to a 2D texture. Each vertex contain a set of UV coordinates, where (0.0, 0.0) refers to the lower left corner of the texture and (1.0, 1.0) refers to the upper right corner of the texture. If the UV coordinates is outside the 0.0 to 1.0 range, the coordinates are either clamped or the texture is repeated (dependent of the texture import setting in Unity). The same way that each vertex is associated with a normal, each vertex is also associated with UV coordinates. This means that sometimes you need to duplicate the same vertex due to UV mapping. Enough theory, let’s take an example. Let’s see how a tetrahedron can be UV mapped. Basically what we are looking for is a way to go from 3D coordinates (the local mesh-coordinates: x,y,z) to 2D coordinates (u,v). The most simple approach would be to remove one of the 3D coordinates; One example of this is to set the uv-coordinate to the x,z coordinate. However this approach is rare useful. When a creating procedural generated mesh in Unity, you would most often want absolute control over where the UV coordinates are positioned. In the example below, I’ll map a texture of a Sierpinski Triangle to the tetrahedron. The texture is chosen because it wraps perfectly around the tetrahedron. 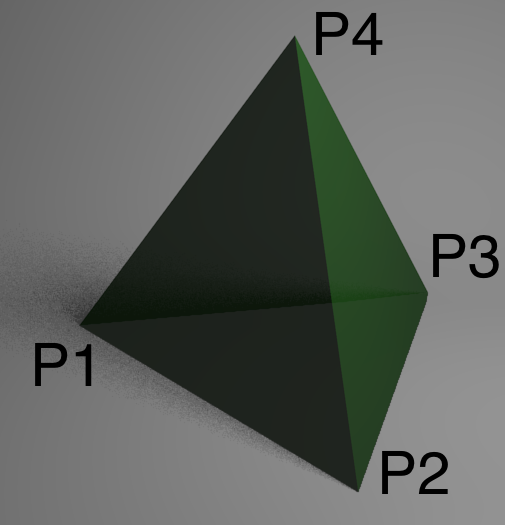 Note that the vertex P3 is mapped to both P3a, P3b and P3c. Another thing to notice is that a lot of space in the texture is waisted. One of the more advanced usages of this technique is used in ‘Escape from planet Zombie‘. Here the town was created procedurally on a sphere and UV mapped to one texture. 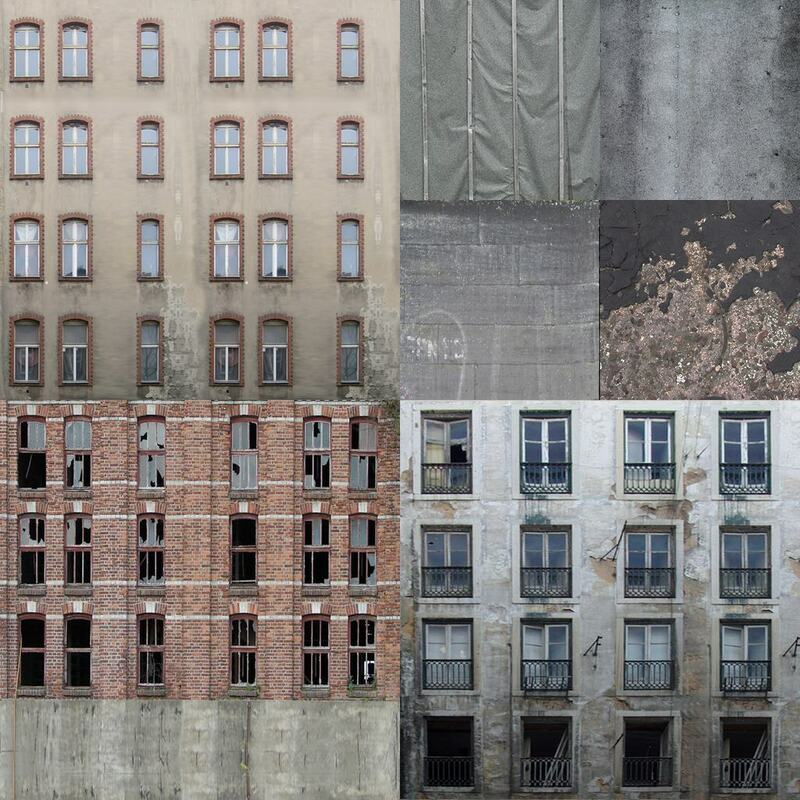 The texture had 3 building facades and 4 rooftops. The UV mapping was done dependent of the height of the buildings, so that a building could have from 1 to 4 floors. Hello ! Thanks for this so usefull tutorial. I try to wrap my head around those uv’s and make a texture atlas from muliple textures with the Texture2D.PackTextures that returns a Rect. It start making sense now. Thanks ! Something that bothers me on the example is that there are redundant vertices (you repeat 3 times each vertex on the vertices array). If the object didn’t have any texture you would need 1/3rd of the vertices. Is this the only way to do uv-mapping or is there a way of having 1/3rd of the vertices but at the same time having a complex uv map? You should think of it this way: You are serving the vertices (and their attributes such as UVs and normals) to the GPU in a way that it as easy for the GPU as possible to consume. This means redundant information. 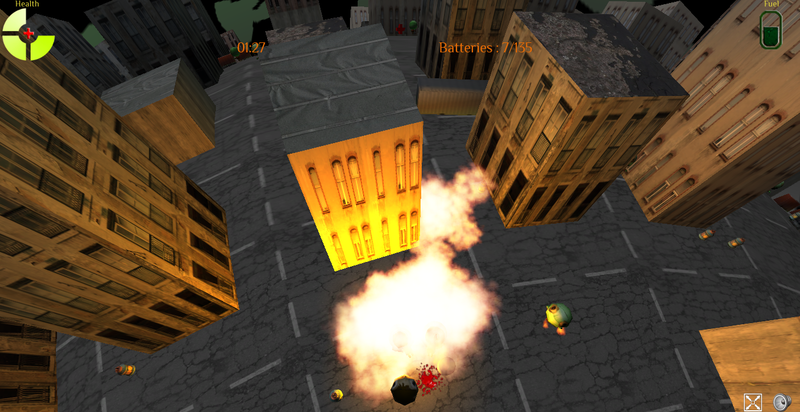 There is no workaround for the redundancy in Unity (unless you are able to compute the UVs on the fly – but that is not a very general approach). However for terrain generation you often want the same UV and normals for each vertex – and in that case there is no reason for repeating vertex positions. The problem I see is that uv information is related to vertices (as you need to have as many uvs as vertices) instead of being related to triangle points. I guess that’s not specific to unity, right? Note that only 1/4th of the texture is meant to be used for horizontal surfaces (the rest is for other parts of the mesh). This works perfectly, I had to read this article to understand I needed to do it this way. Do you know other way of doing this? Thank you for the information. Thank you for the tutorial…. Extremely useful…. This is a great tut, but how can we create a unique mesh each time? This way, if I duplicate the tetrahedrom, then regenerate with different settings, they will both change. its my first time to encounter this and im new to uv mapping. how do you really place the texture in the generated mesh? all i see is just that uv mapping but i dont see how the texure is defined and how would you assign it to the mesh?? First take a look at http://en.wikipedia.org/wiki/UV_mapping . The UV coordinates points to a position in a texture. To make this position more general and independent of the actual texture resolution, the texture width and height are normalized to 1.0 (this means that a coordinate such as (0.5, 0.5) always points to the middle of the texture). It is up to you to decide how you actually want to map the texture to the mesh using UV-coordinates. For some “seat of the pants” orientation: This is very similar to drafting (drawing) patterns for creating sheet metal parts. The whole 3D thing is like forming very ductile sheet metal with a grain structure analogous to the polygons and deformations only occurring at the grain boundaries. The ubiquity of computers allows for more complicated 3D creations but they can all be “cut apart” and flattened in a known or purposely determined manner which then allows the pattern (texture) to returned to the 3D state. You are more than welcome 🙂 I’m looking forward to reading your article. pretty good blog, I’ve been reading your articles for a while (“reading” because I always understand a bit more each time I read). Could you take a look at this question (http://answers.unity3d.com/questions/362969/texture-atlas-and-planar-uvs.html) I’ve just made at Unity Answers? I think it is a very easy thing to do but I can’t figure out. So, I thought you could help me. Thank you. This is the first online tutorial I have seen where UV was actually defined as a 2D coordinate system, which made everything I have ever read about them suddenly click into place. Thanks for not assuming someone already knows what all the abbreviations are. Thank you sir, this is the best tutorial I have found on this subject and it was very helpful in understanding this concept. Well done! Thank a lot ! It’s quite hard to find some explanations about uv mapping, as any research leads to Maya/Blender/3DSMax tutorials. Thanks again ! Mesh.uv is out of bounds. The supplied array needs to be the same size as the Mesh.vertices array. A few ideas: The order of assigning vertices, triangles and uvs to mesh data matters. First assign the vertices and then the rest. The other error is simple to use ‘Tetrahedron.renderer.material.color’ instead of ‘Tetrahedron.renderer.color ‘.